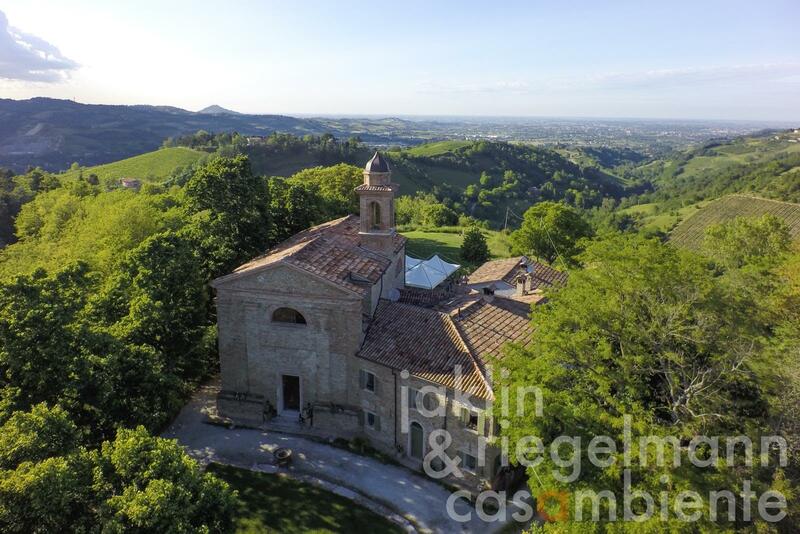 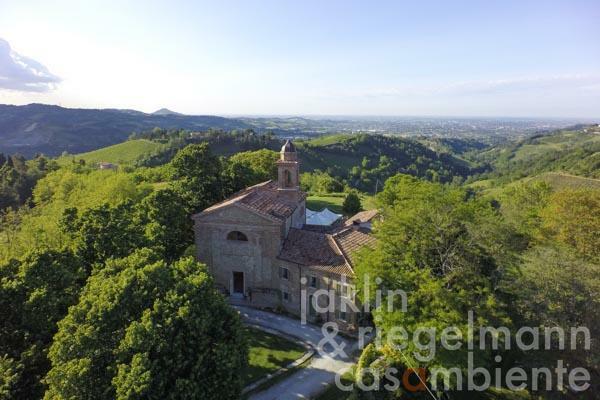 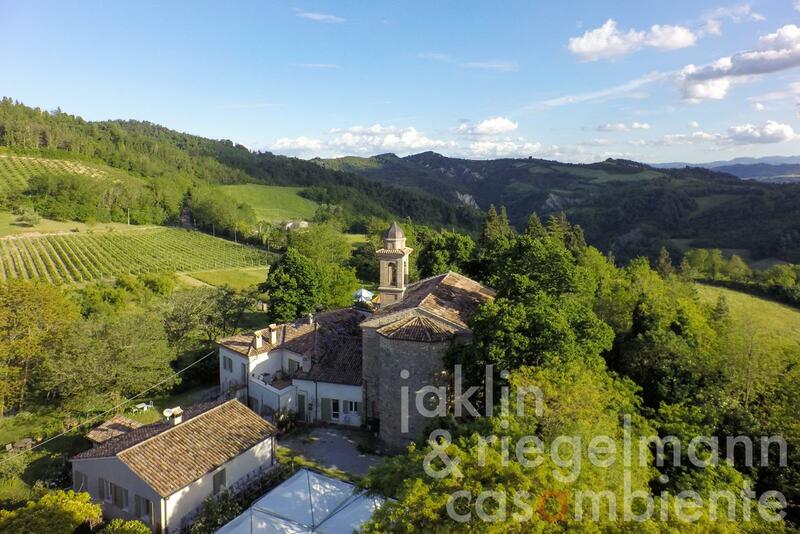 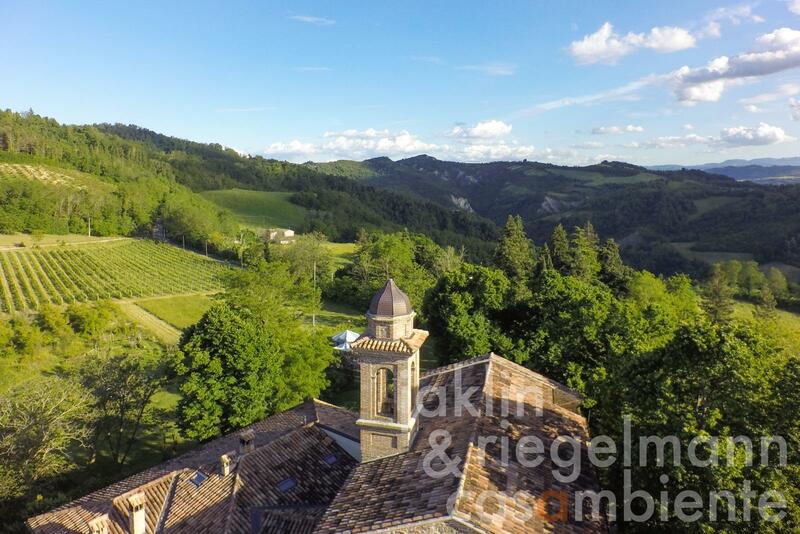 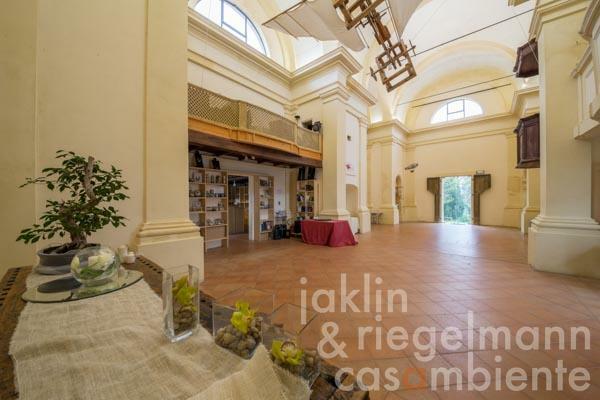 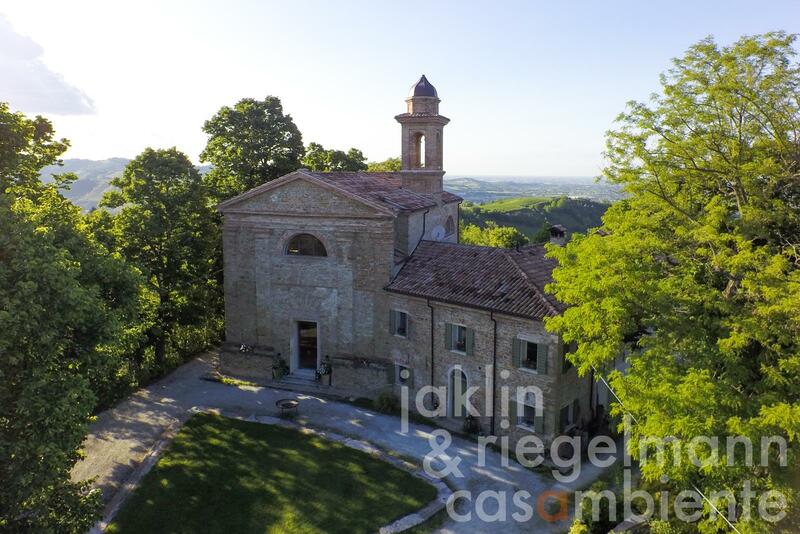 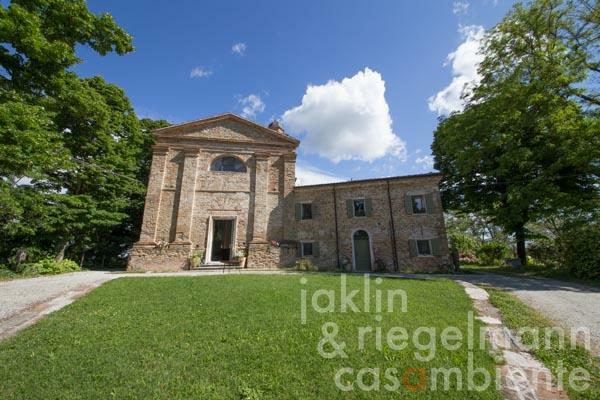 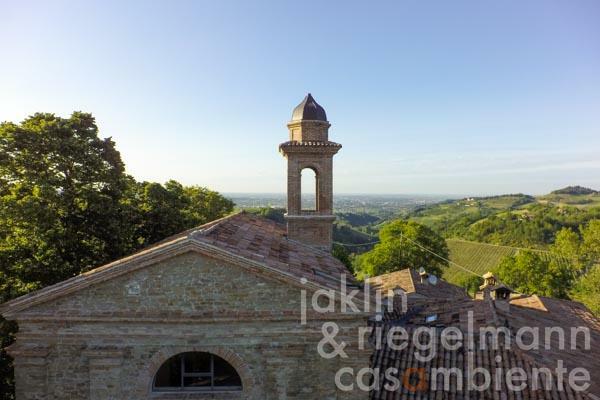 Unique restored church for sale from the 18th century with attached vicarage and outbuilding, located in a spectacular location near Cesena in the Emilia-Romagna in Italy. 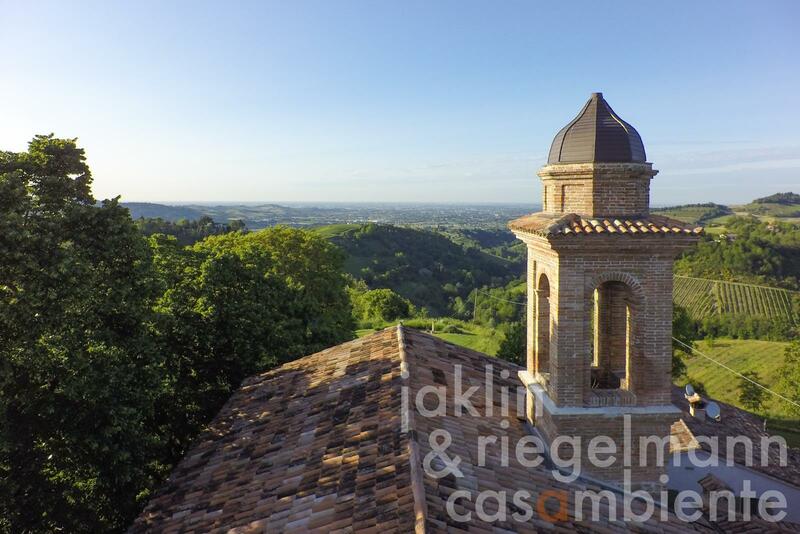 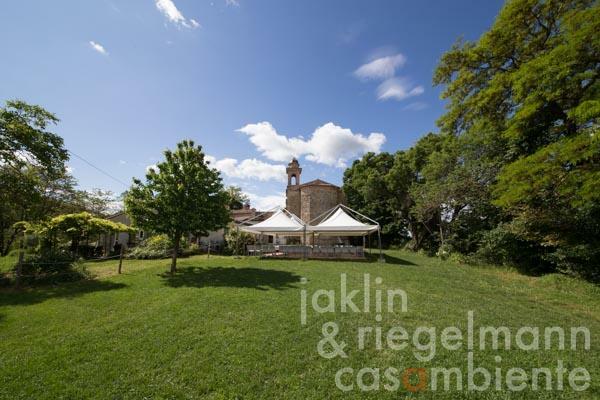 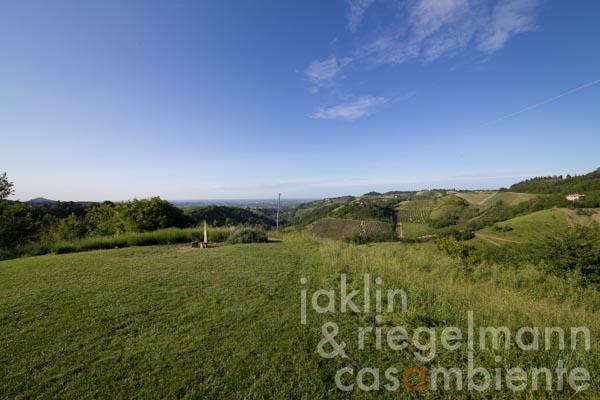 The property covers about 2 hectares of land with manicured lawns and flower beds and has panoramic views towards Cesena and the sea. 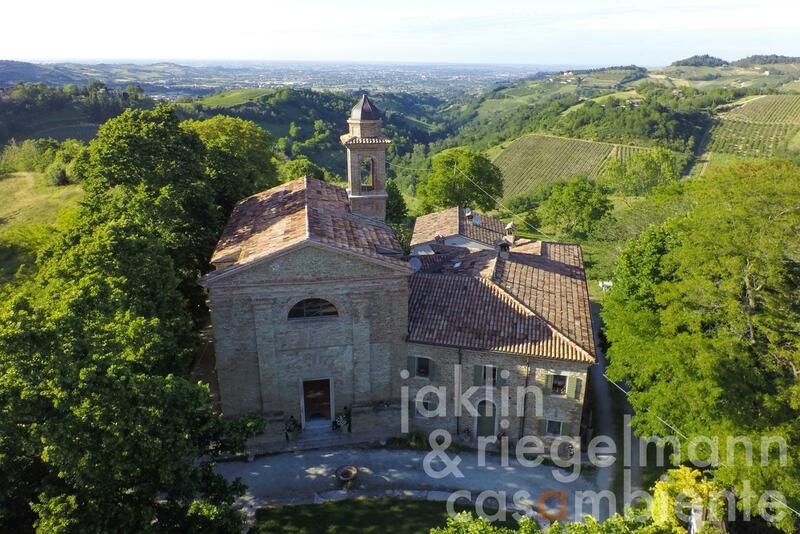 The church dates back to the 13th century, between 1450 and 1700 a second church had certain historical ties to the Archbishop of Ravenna, Frederick II and the Papal State. 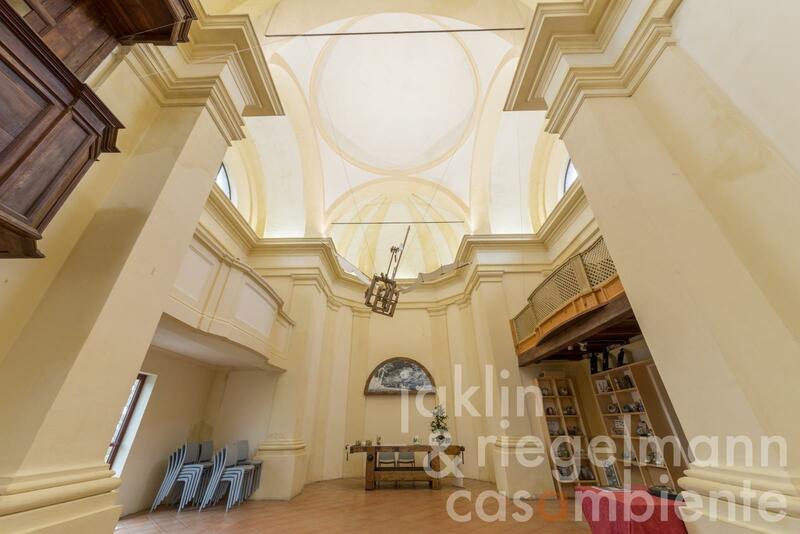 The present church was built at the turn of the 18th and 19th century and was carefully restored by the current owners between 2005 and 2009. Today, the property offers a pleasant and modern comfort. 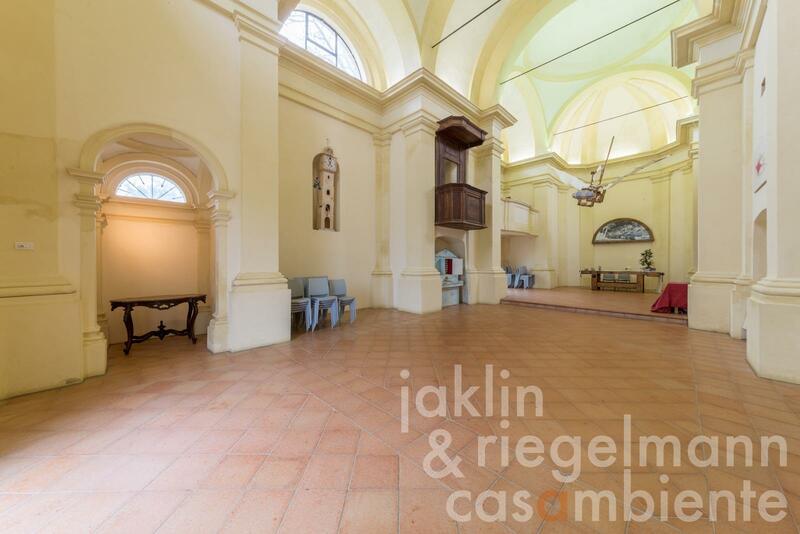 The – non consecrated – church features high ceilings (10 m), is the centrepiece of the property and provides a festive setting for exhibitions, concerts, theatre and weddings. The former sacristy was converted into a library with currently more than 1,000 books on art and a coffee bar. 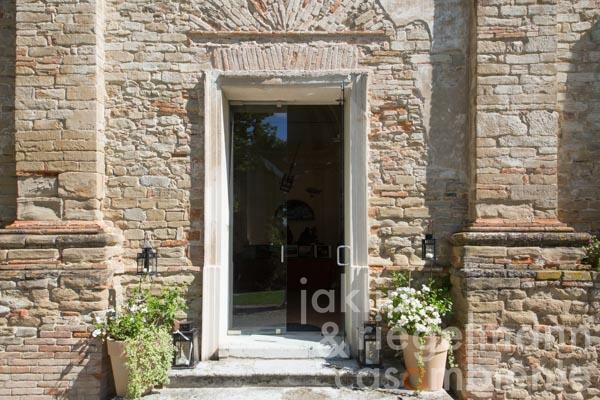 The library opens directly onto the rear panoramic terrace and the garden as well as several rooms and guest toilets on the ground floor of the former vicarage. 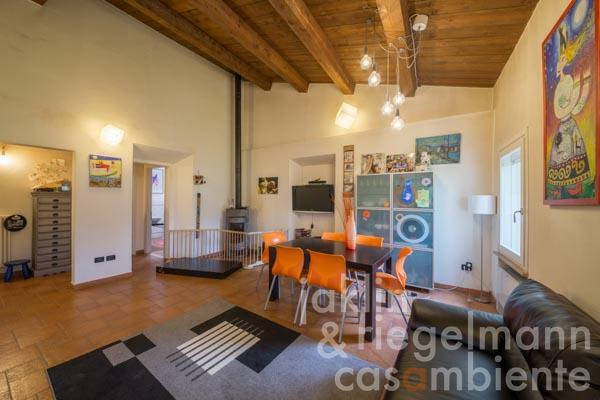 Two separate guest apartments each with a fully equipped kitchen, a bedroom and a bathroom adjoin the former sacristy on the ground floor. 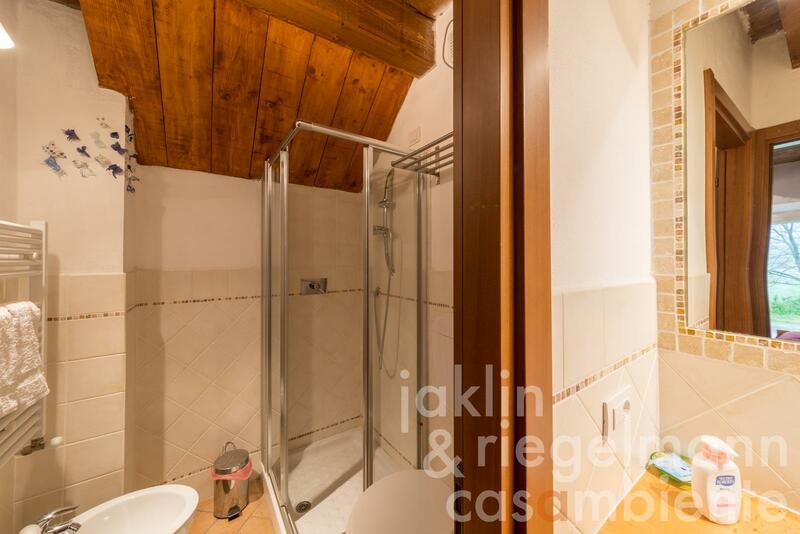 The upper floor is currently divided into two apartments, which are accessible from opposite sides of the house and can also be connected. 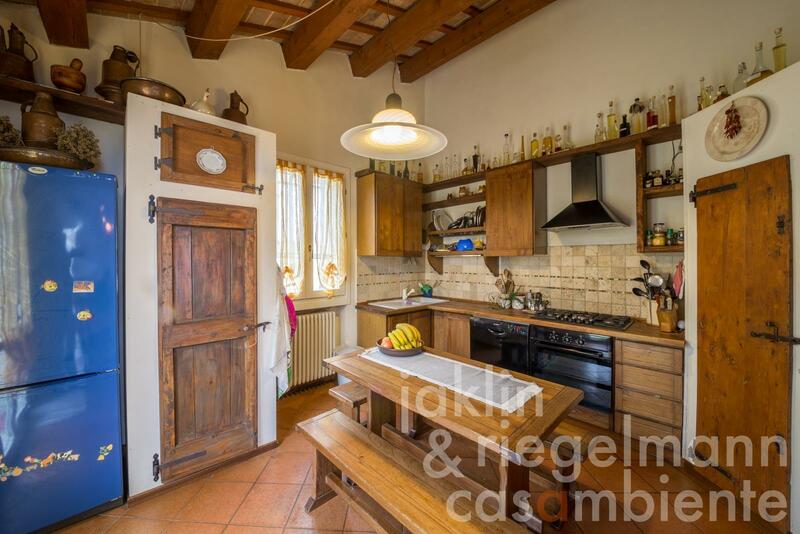 The first apartment consists of a large eat-in kitchen, a living room, two bedrooms and two bathrooms. 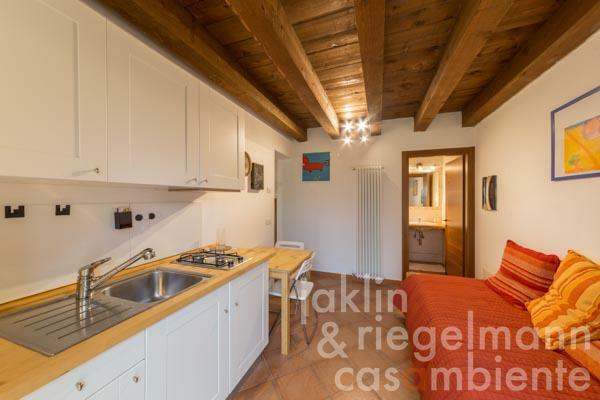 The second apartment has an eat-in kitchen with access to a beautiful panoramic terrace, a living room, a bedroom and a bathroom. In the outbuilding additional living space was created with an eat-in kitchen, a cosy living/dining room, two bedrooms and two bathrooms, surrounded by gardens and terraces. The plot consists of well-maintained lawns, flower beds with over 300 roses and 1,000 lavender plants, a vegetable garden and ancient trees. 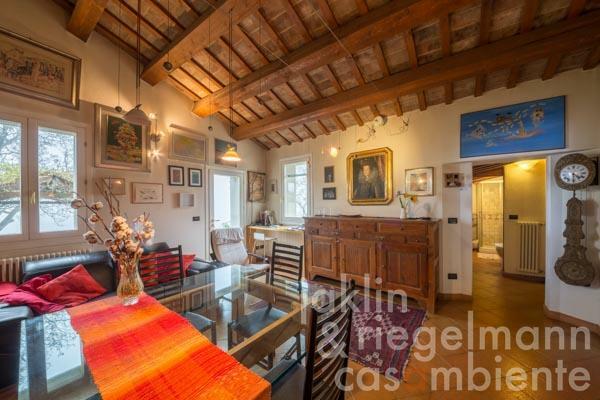 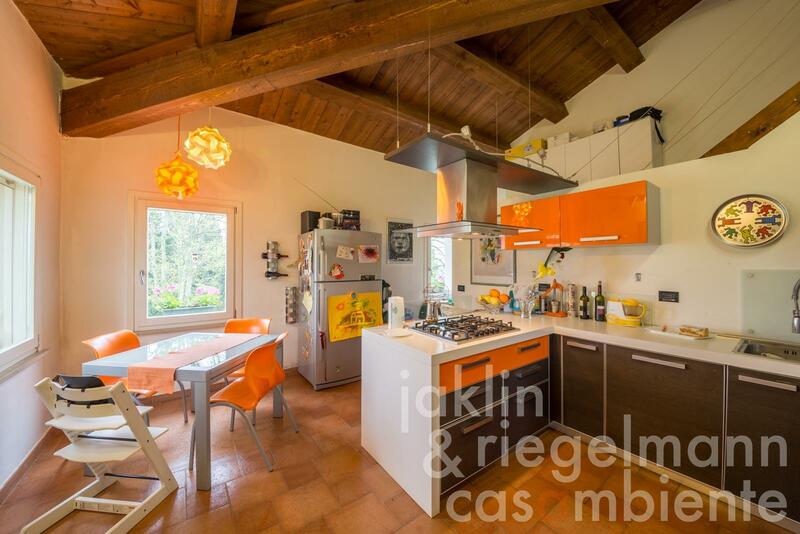 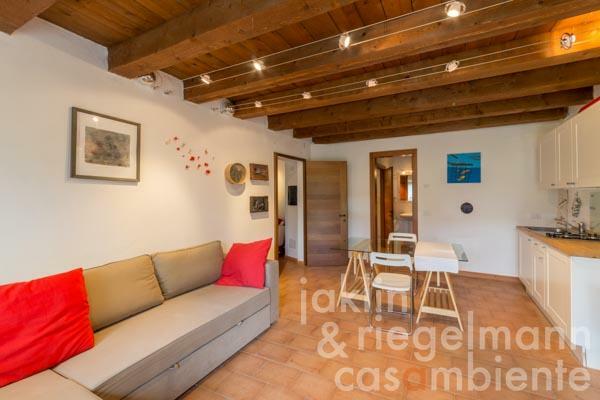 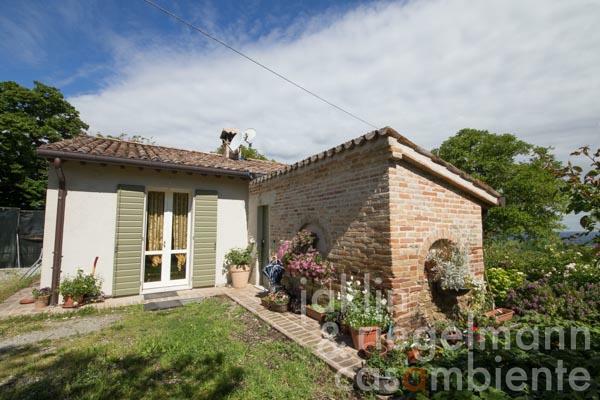 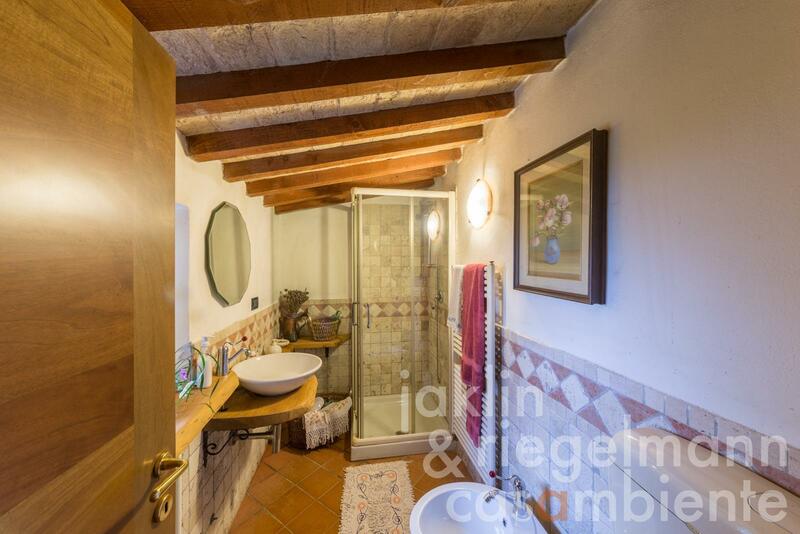 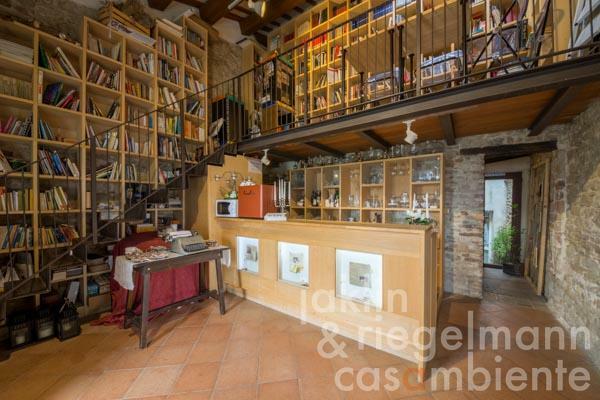 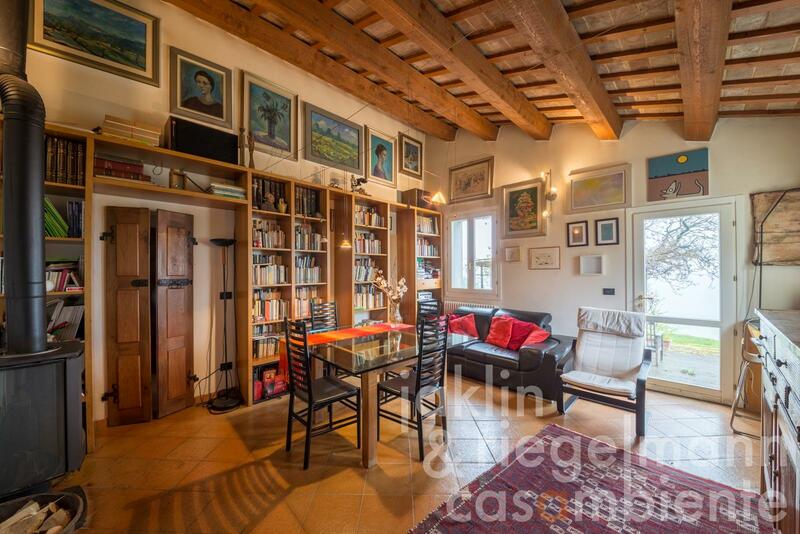 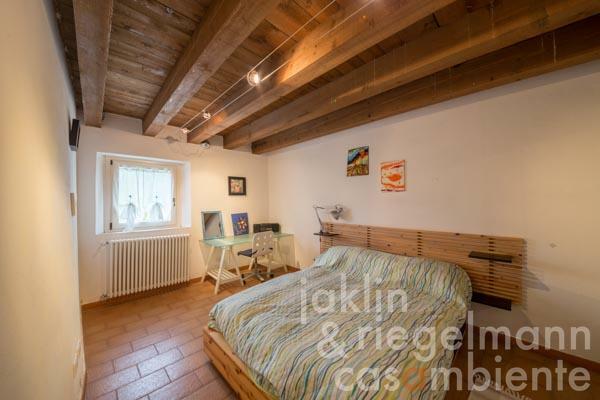 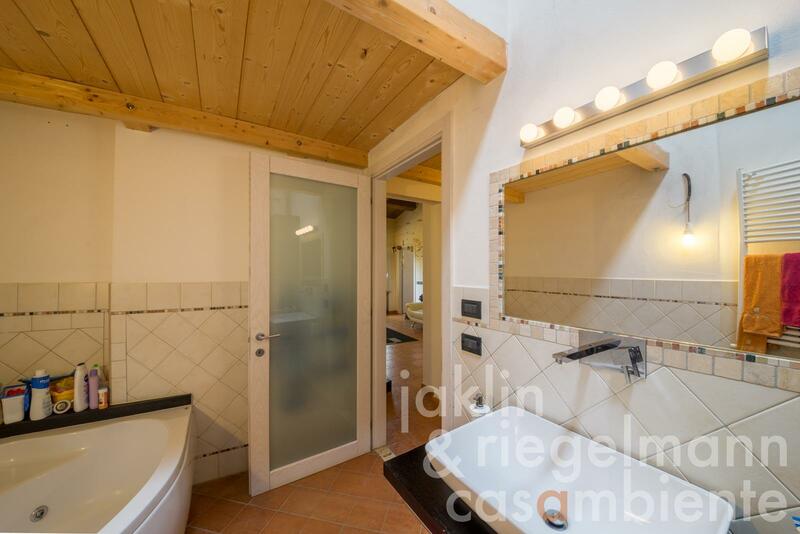 The old town of Cesena is only about 10 km away from this unique property for sale. 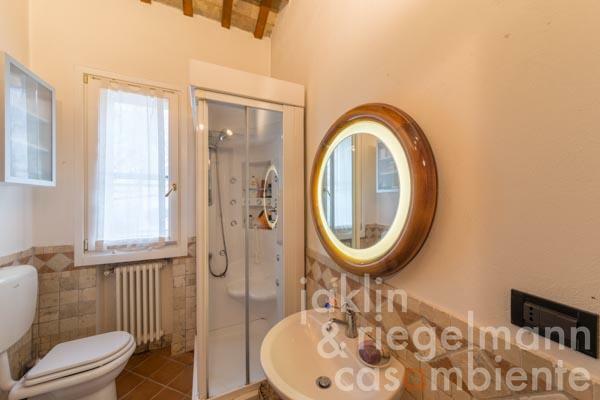 The beaches between Rimini and Ravenna can be reached in about 40 minutes. 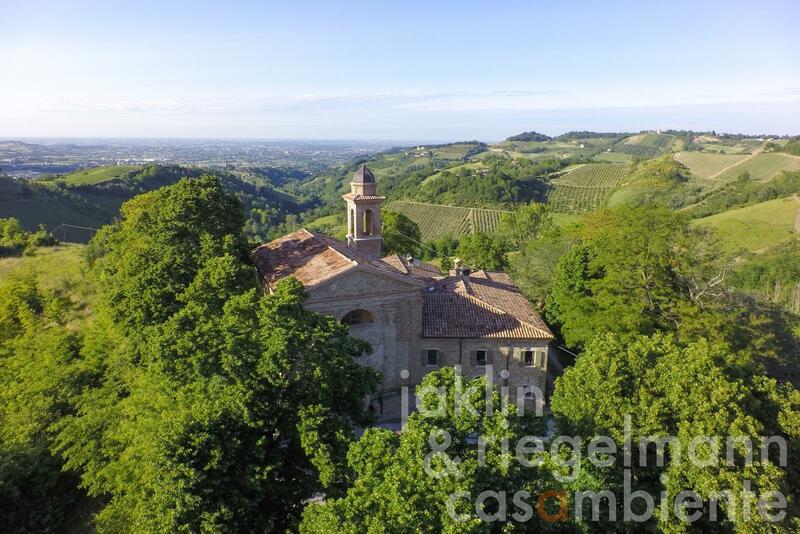 Italy, region Emilia-Romagna, province Forli-Cesena, municipality Cesena. Electricity, mains water, own well water, central heating, underfloor heating, fireplace, gas tank, telephone, broadband internet access, satellite-TV, private parking, terrace, garden.